A great chance to be familiar with magical Kathmandu Valley. This 1 day – cycling tour will award great and amazing experience to its participant with the opportunity to be familiar with the diversified culture of Kathmandu valley and its periphery. This tour is filled with a visit to historical sites, ancient temples, shrines and beautiful human settlements around Kathmandu valley. This ride around Kathmandu will take you up to an elevation of 2,200m, past scenic ancient settlements and traditional farming. You can enjoy stunning views of the mountain range, a ride through wild verdant forests, and rambling single tracks through rice fields passing through settlements. If you love riding then we will help you to explore Kathmandu Valley. Tour begins with a satisfying breakfast followed by the briefing about cycling trip. Then, we will start our cycling tour from the hotel. 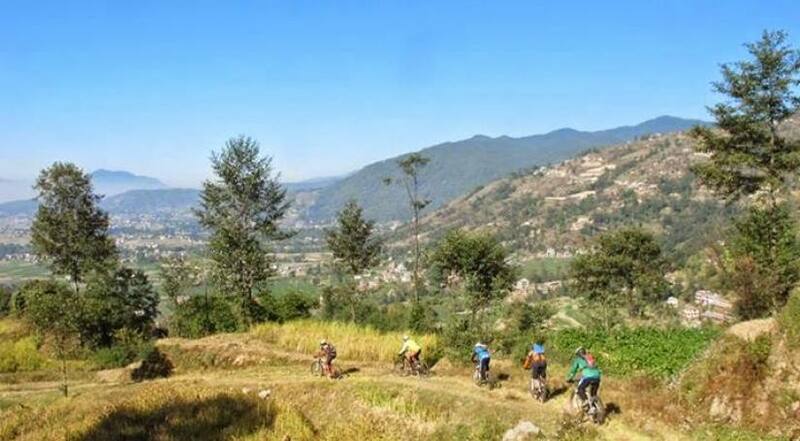 We have a different option for one day biking tour in Kathmandu valley. This is easy level short cycling trail and perfect for the beginners and nearby the most famous tourist center- Thamel. This is half day ride and takes about 3-4 hours to complete this trail and be back to your hotel for rest. 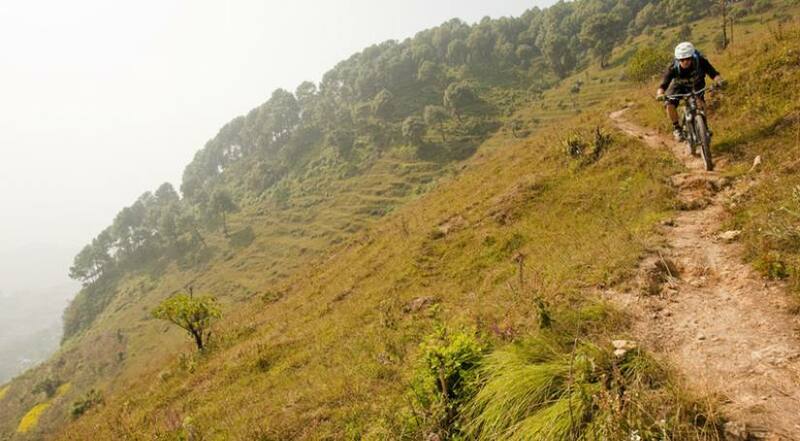 Jamacho biking trip is another from biking trail nearby Thamel but a bit harder and longer than Mudhkhu-Tokha Trail. This is medium length with the 21-km serpentine road to the top of Nagarjun Hill (2,128 m) inside Shivapuri National Park. From the top of the hill, you can view the amazing view of Kathmandu city and around. It takes about 5 to 6 hours to complete. The trip starts from Kathmandu hotel and goes along the Bhaktapur Durbar Square arrives at Nagarkot for breakfasts. You will get a chance to enjoy the magnificent views of the Himalayan range and great hill around. After the breakfasts, you will follow down hills to Bhaktapur Durbar square for lunch. You may have unplanned to visit the Durbar Square as sightseeing tours and return to your hotel safely. Your day begins with breakfast at the hotel followed by a cycling trip to Chobhar gorge which is located 9km south of Kathmandu valley. Here, you will get know the mythical legend that revolves around the making of the valley and the gorge. The popular gorge and beautiful Jal Binayak temple are located here. You will ride via forests and local villages, once you reach Chobhar hill the Everest Himalayan range are clearly visible. On the way back explore the Pharping village. It’s quite hard and long day ride. International mountaineering brand bikes and helmet. Tips for Guide and Driver (Tipping is expected).